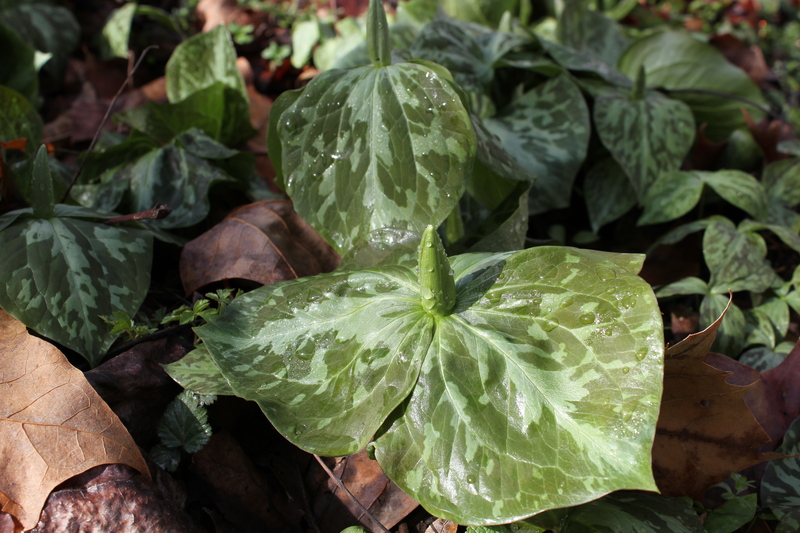 The striking leaves of this stout woodland wildflower are mottled with patches of silvery green. The plant has a lemon scent. Folklore holds that toads sit under the leaves to capture the bugs that are drawn to the flowers, hence the common name, toadshade. 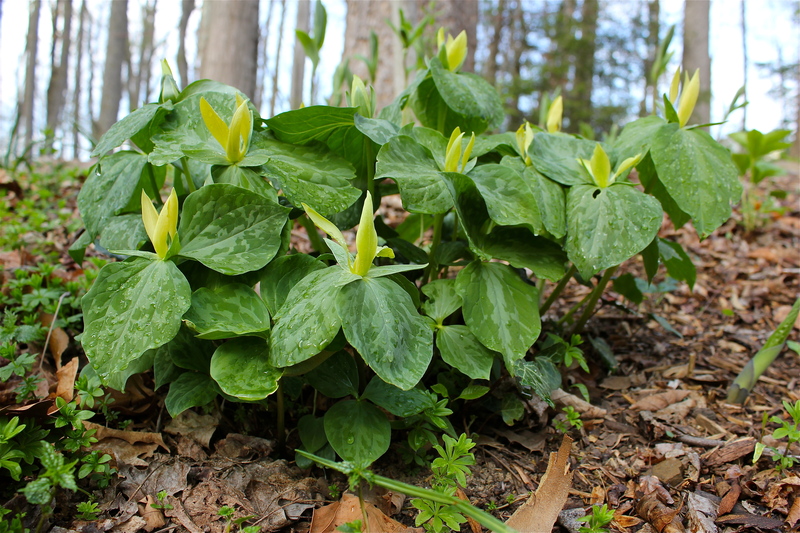 Once planted, yellow trillium seeds very easily by itself and has a habit of forming large colonies, or drifts, like the one you see in the photos below. 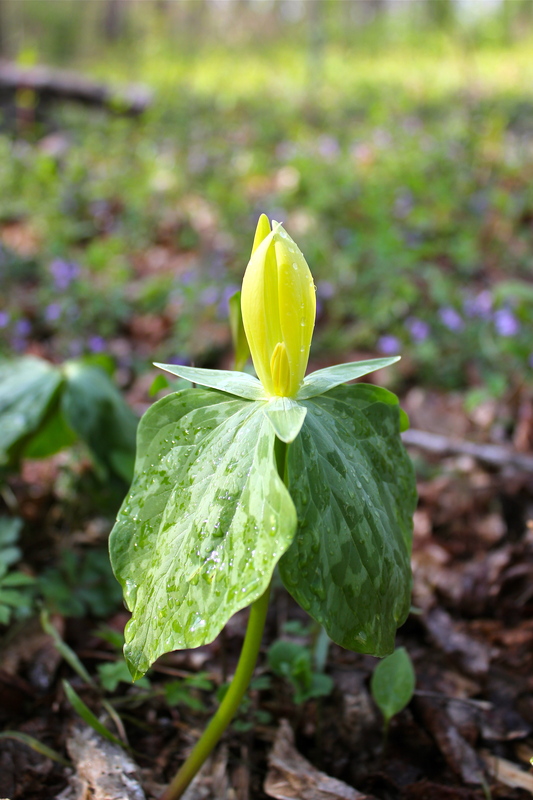 Yellow trillium is a “sessile” trillium. That means the flowers are born without a stem, or pedicel. It looks like the flower is coming right out of the leaves! Contrast that to the more common white trillium or red trillium, where the flower is suspended above the leaves on a distinct stem. The plant grows to about 1 foot tall. It comes up quickly at the beginning of spring (March and April) and will persist above ground until July or early August, at which point the fruits are ripe. Ants are drawn to the seedpods. They take the seeds back to their nest, where the seeds are efficiently dispersed and “planted” for next year. 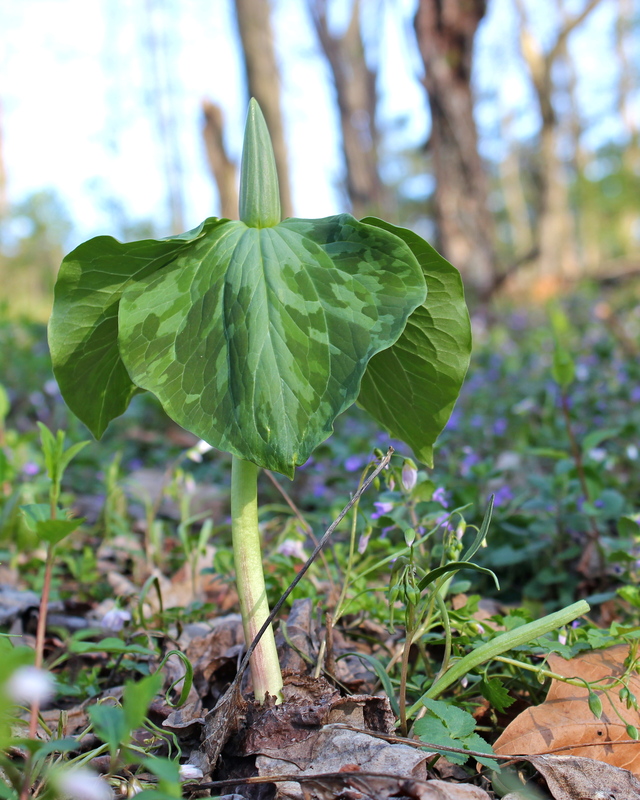 The plants pictured here are growing in our woodlot in southwest Virginia. I assume they were originally planted, or maybe they were garden “escapees”. 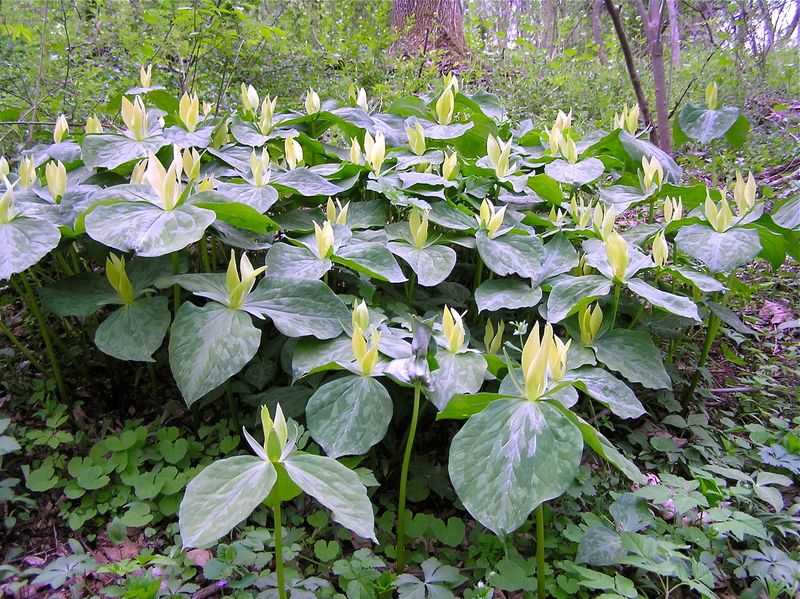 That’s because yellow trillium is not commonly found in Virginia. The typical range includes states just south and west of us, near the Great Smokey Mountains: North Carolina, Georgia, Kentucky and Tennessee. I include it here because I’ve seen it in other Blacksburg gardens, including mine.